Hyderabad-based drugmaker Laurus Labs Ltd is seeking a valuation of as much as Rs 4,521 crore ($660 million) through an initial public offering that begins next month. The company has priced the IPO in a band of Rs 426-428 a share. The offering begins on 6 December and closes two days later. The total size of the offering is about Rs 1,360 crore. This comprises Rs 300 crore to be raised through a fresh issue of shares and the remaining via a sale of shares by existing shareholders. Private equity firms Warburg Pincus and Eight Roads Ventures (formerly Fidelity Growth Partners) will partially exit while Welsh Carson Anderson & Stowe will sell its entire stake in the offering. Laurus Labs filed its IPO proposal with the Securities and Exchange Board of India in August. It received regulatory clearance for the IPO in October. The firm aims to use the IPO money to repay term loans and for general corporate purposes. The company registered consolidated revenue from operations at Rs 1,783.77 crore for 2015-16 compared with Rs 1,326.59 crore the year before. It reported consolidated net profit of Rs 132.65 crore for 2015-16 compared with Rs 68.36 crore the previous year. Laurus Labs is seeking to join a string of healthcare companies that have made successful debuts on stock markets over the past year. Diagnostics chains Dr Lal PathLabs Ltd and Thyrocare Technologies Ltd and hospital chain Narayana Hrudayala Ltd are among the companies have successfully gone public over the past year. Hospital chain operator Aster DM Healthcare Ltd filed documents for an IPO in June while eye-care chain New Delhi Centre For Sight has received SEBI approval for its initial share sale. 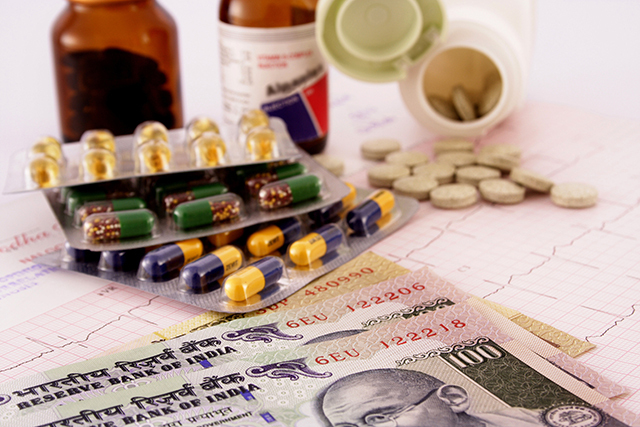 The healthcare sector has been one of the best performers in terms of share price movement after listings. Drugmaker Alkem Laboratories Ltd, which went public last December, is trading at a 60% premium to its IPO price. The IPO market in India picked up pace after four years of slow activity in mid-2014 after the BJP-led government took over. In 2015, 21 companies raised about Rs 14,000 crore, as per stock-exchange data. So far this year, 26 companies have tapped primary markets, collectively raising more than Rs 20,000 crore, the data showed. Kotak Mahindra Capital, Citigroup Global Markets, Jefferies and SBI Capital Markets are managing the Laurus Labs IPO.